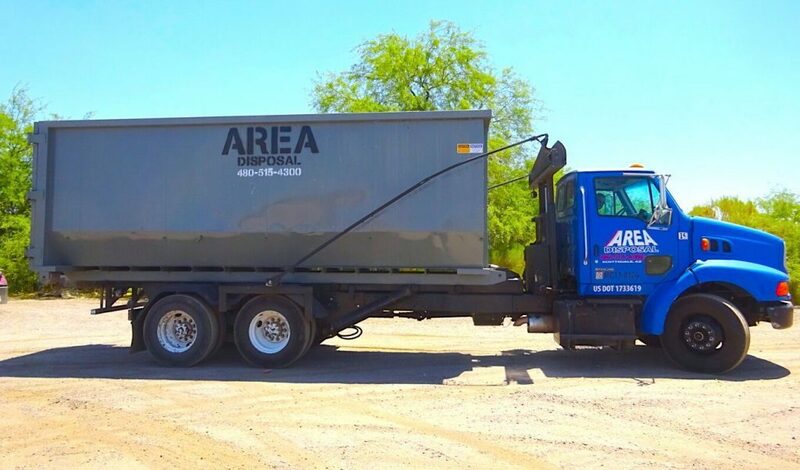 When you require a roll-off dumpster rental, choose Area Disposal Inc. We’ve helped meet the waste disposal needs of residents and business owners in the Phoenix, AZ, area since 2001. Our small, locally owned and operated business is proud to offer personalized service and competitive pricing. Whether you’re a commercial landscaper or a homeowner undergoing a cleanup or remodeling project, we have the quality rentals and helpful information you need. We offer two types of roll-off dumpster rentals, including a giant, 40-cubic-yard dumpster and a smaller 15-cubic-yard dumpster. 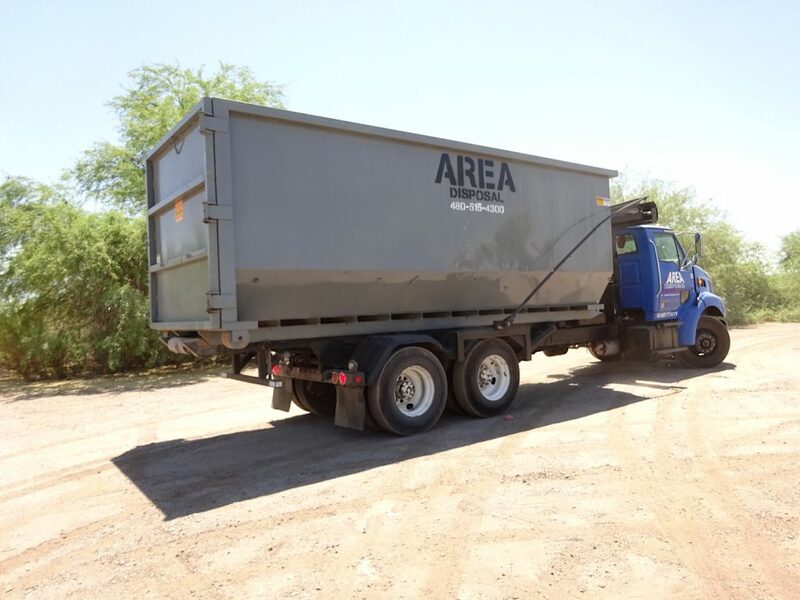 The larger dumpster can hold up to 10 tons of debris and is ideal for large-scale projects, such as a major home renovation, a building demolition, or a commercial roof replacement. The 15- cubic-yard dumpster works well for small residential projects, such as spring cleaning or a kitchen remodel. If you’re unsure which size would work best for you, give us a call, and we’d be happy to advise you. We focus on helping our customers save money and use their rental as efficiently as possible. Choose a location for your dumpster that is easily accessible. Load large, heavy, or oddly-shaped items first and loose waste last. Pop holes in bagged waste to help bags compress. Distribute weight evenly throughout the dumpster. Avoid overfilling the container, as this can cause tipping and make hauling and emptying unsafe. Don’t toss explosive, toxic, hazardous, or volatile materials. For more information on what things do not belong in your dumpster, feel free to call or email us. We can provide you with a list of prohibited items. To reach us, please call 480-515-4300 or email office@areadisposal.com. You can also leave us a message using our online form. We look forward to hearing from you!